The first one is Dim Light Powder. This one is really great because you can use it to help soften imperfections such as dark circles. You can even use it all over the face! The second one is the radiant light (this one is my favorite) which can help with contouring the face (like those cheeky cheekbones) and even as an overall powder to put all over the face to set your makeup (but only a light coat of it if you’re going to use it as the powder on top). The third one is the NEW Incandescent Light Powder. 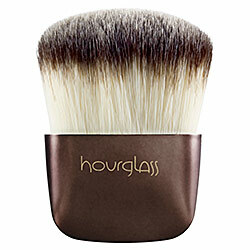 It is a pearlescent powder that helps to highlight and brighten your complexion. You can use this one to light the tops of your cheekbones, under the brow, center of your eyelids, and even the bridge of your nose. I was not compensated for this review. I was provided this palette by Hourglass.